Introducing this newly built exquisite 4 bedroom 4 bath family home located in prestigious Upper Deer Lake. Spectacular floor plan with generous size bedrooms. Spacious living room with a gas fireplace and dining area leading to the chefs kitchen with large island and S/S appliances. Open family room with custom built ins. Features 18ft high ceiling foyer, quartz counters,engineered oak floors, radiant beating, HRV, sec. cameras, custom finishing, quality workmanship and attention to details, gated landscaped yard, 2-5-10 Warranty. 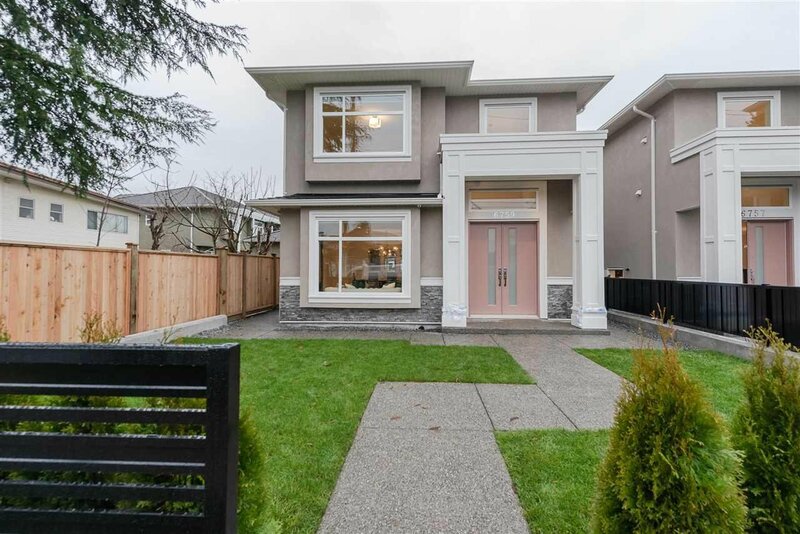 Centrally located close to public transportation, shops & restaurants, easy access to BCIT and SFU,just minutes to Brantford Elem/Windsor Elem, METROTOWN, High Gate, Crystal Mall, and Deer Lake Park.